Draft: 2010, Cincinnati Reds, 2nd rd. Ryan Michael LaMarre (pronounced la-MAHR)...Twitter: @RyanLaMarre4...attended Lumen Christi High School in Michigan where he played baseball, football and hockey; played for back-to-back state champion football teams...attended University of Michigan...named 2009 Bill Freehan Award winner, given to club's top hitter...named All-Big 10 Second Team in 2009 and named to All-Big Ten First-Team in 2010. Played in third career spring training as an invite with Los Angles-AL...optioned to Triple-A Salt Lake March 24 where he played 11 games ... Designated for release or assignment April 18, eventually traded to Oakland for Player to be Named Later and optioned to Triple-A Nashville ... Recalled by Oakland April 25 and played three games for the A's, going 0-for-7 with one walk...optioned back to Nashville April 30 ... Played 38 games for the Sounds and was released June 21. Appeared in five games with Red Sox following his June 18th call up...Pitched one inning in relief July 2 at Fenway Park against the Angels...Allowed no runs and two hits...Marked fi rst pitching outi ng at any professional level...Was designated for assignment by Boston July 7 and aft er clearing waivers, was outrighted to Triple-A July 11...Spent a majority of the season with Triple-A Pawtucket, leading the PawSox in average (min. 250 AB) and stolen bases while his 41 RBI ranked second on the Club...The .303 average and 10 home runs were both minor league career bests and the 17 stolen bases were his highest total since 2013 (23 SB). Played in first career spring training with Reds as a non-roster invite...spent majority of season with Triple-A Louisville, ranking second on club in doubles (17) and second in stolen bases (11)...contract selected by Cincinnati August 20...made major league debut August 22 vs. Arizona as starting centerfielder going 0-for-5...recorded first major league hit August 23 vs. Arizona, singling off Chase Anderson...appeared in 13 games (5 starts) for the Reds in center, two in left, and one in right...signed with the Red Sox as a minor league free agent December 14. Played just 17 games with Triple-A Louisville (Cincinnati) due to three stints on disabled list, suffering from a right knee sprain in April, and a stress fracture in lower left leg and a sports hernia, suffered in late-May, missing remainder of season...had core muscle hernia surgery June 6...designated for assignment August 12...released August 15, but resigned August 19 to a minor league contract through the 2015 season. For the fourth straight season was rated the best defensive outfielder in the organization...spent most of the season at Class AA, where he led Pensacola in stolen bases and runs scored...ranked second on the club in games, hits, doubles and HR...was promoted on 8/31 and in his first stint at Class AAA made 3 apps for Louisville...following the season played briefly for Glendale in the prestigious Arizona Fall League (2g, .400, 1sb)...was invited to 2013 Major League spring training camp, his first...on 11/20 was added to the 40-man roster. In his first full season at Class AA was a mid-season Southern League All-Star for Pensacola...with 30 stolen bases ranked T4th among all Reds farmhands and fifth in the SL...for the third straight season was rated the best defensive outfielder in the organization...in January 2013 was invited to Major League spring training camp for the first time. In 122 apps at Class A Bakersfield combined to hit .278 (6hr, 47rbi, 55sb)...his 55 steals ranked second in the organization, third in the California League and T7th among all minor leaguers...for the second consecutive season was rated the organization's best defensive outfielder...entered the season as the Reds' 11th-best prospect. In his first professional season produced 19 stolen bases for Class A Dayton and Lynchburg...following the season was rated the organization's best defensive outfielder. November 19, 2018 Atlanta Braves signed free agent OF Ryan LaMarre to a minor league contract and invited him to spring training. 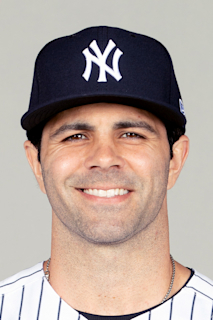 November 19, 2018 OF Ryan LaMarre assigned to Gwinnett Stripers. November 2, 2018 CF Ryan LaMarre elected free agency. October 26, 2018 Chicago White Sox sent CF Ryan LaMarre outright to Charlotte Knights. August 21, 2018 Chicago White Sox recalled CF Ryan LaMarre from Charlotte Knights. August 16, 2018 Chicago White Sox optioned CF Ryan LaMarre to Charlotte Knights. August 6, 2018 Chicago White Sox recalled Ryan LaMarre from Charlotte Knights. July 21, 2018 Chicago White Sox optioned CF Ryan LaMarre to Charlotte Knights. July 10, 2018 Ryan LaMarre roster status changed by Chicago White Sox. July 9, 2018 Chicago White Sox claimed CF Ryan LaMarre off waivers from Minnesota Twins. July 2, 2018 Minnesota Twins designated CF Ryan LaMarre for assignment. June 25, 2018 Minnesota Twins optioned CF Ryan LaMarre to Rochester Red Wings. May 22, 2018 Minnesota Twins recalled Ryan LaMarre from Rochester Red Wings. May 10, 2018 Minnesota Twins optioned CF Ryan LaMarre to Rochester Red Wings. April 16, 2018 Minnesota Twins recalled Ryan LaMarre from Rochester Red Wings. April 13, 2018 Minnesota Twins optioned LF Ryan LaMarre to Rochester Red Wings. March 29, 2018 Minnesota Twins selected the contract of Ryan LaMarre from Rochester Red Wings. November 30, 2017 Minnesota Twins signed free agent LF Ryan LaMarre to a minor league contract and invited him to spring training. November 30, 2017 LF Ryan LaMarre assigned to Rochester Red Wings. June 21, 2017 Oakland Athletics released LF Ryan LaMarre. May 1, 2017 Oakland Athletics optioned LF Ryan LaMarre to Nashville Sounds. April 25, 2017 Oakland Athletics recalled Ryan LaMarre from Nashville Sounds. April 24, 2017 Oakland Athletics optioned LF Ryan LaMarre to Nashville Sounds. April 23, 2017 Los Angeles Angels traded LF Ryan LaMarre to Oakland Athletics for Player To Be Named Later. April 18, 2017 Los Angeles Angels designated LF Ryan LaMarre for assignment. March 25, 2017 Los Angeles Angels optioned LF Ryan LaMarre to Salt Lake Bees. November 28, 2016 Los Angeles Angels signed free agent Ryan LaMarre. November 7, 2016 CF Ryan LaMarre elected free agency. July 11, 2016 Boston Red Sox sent CF Ryan LaMarre outright to Pawtucket Red Sox. July 7, 2016 Boston Red Sox designated CF Ryan LaMarre for assignment. June 18, 2016 Boston Red Sox selected the contract of CF Ryan LaMarre from Pawtucket Red Sox. December 19, 2015 CF Ryan LaMarre assigned to Pawtucket Red Sox. December 14, 2015 Boston Red Sox signed free agent CF Ryan LaMarre to a minor league contract and invited him to spring training. December 2, 2015 CF Ryan LaMarre elected free agency. August 20, 2015 Cincinnati Reds selected the contract of CF Ryan LaMarre from Louisville Bats. April 23, 2015 CF Ryan LaMarre assigned to Louisville Bats from Billings Mustangs. April 6, 2015 CF Ryan LaMarre assigned to Billings Mustangs from Louisville Bats. January 12, 2015 Cincinnati Reds invited non-roster CF Ryan LaMarre to spring training. September 16, 2014 Louisville Bats activated CF Ryan LaMarre from the 7-day disabled list. August 19, 2014 Cincinnati Reds signed free agent CF Ryan LaMarre to a minor league contract. August 19, 2014 CF Ryan LaMarre assigned to Louisville Bats. August 13, 2014 Cincinnati Reds released CF Ryan LaMarre. August 12, 2014 Cincinnati Reds designated CF Ryan LaMarre for assignment. May 16, 2014 Louisville Bats activated CF Ryan LaMarre from the 7-day disabled list. March 11, 2014 Cincinnati Reds optioned CF Ryan LaMarre to Louisville Bats. November 20, 2013 Cincinnati Reds selected the contract of Ryan LaMarre from Louisville Bats. August 31, 2013 Ryan LaMarre assigned to Louisville Bats from Pensacola Blue Wahoos. January 14, 2013 Cincinnati Reds invited non-roster CF Ryan LaMarre to spring training. March 8, 2012 OF Ryan LaMarre assigned to Cincinnati Reds. September 1, 2011 OF Ryan LaMarre assigned to Carolina Mudcats from Bakersfield Blaze. May 3, 2011 Ryan LaMarre roster status changed by Bakersfield Blaze. April 26, 2011 Bakersfield Blaze placed OF Ryan LaMarre on the 7-day disabled list. March 1, 2011 RF Ryan LaMarre assigned to Cincinnati Reds. August 24, 2010 OF Ryan LaMarre assigned to Lynchburg Hillcats from Dayton Dragons. June 11, 2010 Cincinnati Reds signed OF Ryan LaMarre. June 11, 2010 Ryan LaMarre assigned to Dayton Dragons from Cincinnati Reds.